Union Steel and Mines Minister Narendra Singh Tomar on Thursday asked the Odisha government to expedite auction of mines in the state. 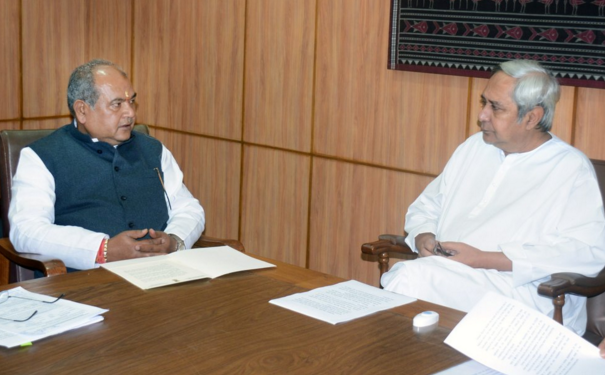 Meeting Chief Minister Naveen Patnaik here, he said he had asked him to set up district mineral foundation (DMF) in all the mineral bearing districts. The state government has already created DMFs in 12-13 districts and would soon create DMFs in other districts, said Tomar, adding the state government has assured him to grant a bauxite mines to national public sector undertaking Nalco. Patnaik requested Tomar to expedite the process in granting mining lease and prospecting license mines in favour of Odisha Mining Corporation (OMC) for Karlapat bauxite, noting that OMC has already applied for mining lease for explored area (1,848 hectare) and prospecting license for unexplored area (1,157 hectare). Tomar has also assured the state government that Nalco would provide 50,000 metric tonne aluminium for proposed aluminium park at Angul. Earlier in the day, union Mines Secretary Balvinder Kumar said that an agreement between Indian Bureau of Mines (IBM) and Indian Space Research Organisation (ISRO) will be inked soon to track illegal mining across the country. Speaking on the sidelines of the inauguration of the new building of IBM here, he said plans have been finalised to track illegal mining in the country using space technology and satellite imagery in partnership with ISRO.